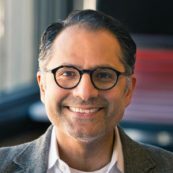 Kavilash Chawla is a partner at Baton Global and has spent the majority of his career as a strategy advisor and consultant to private and public sector organizations, supporting them with the development and execution of their global growth strategies. Kavi’s expertise spans several industries including financial services, energy, FMCG, and the nonprofit sector. His regional expertise focused on high growth markets, especially the Middle East, South and Southeast Asia, and Sub-Saharan Africa. Before his advisory role, Kavi was in investment banking where he focused on privatizations, IPOs, and secondary offerings. Kavi’s applied research with Drake University is focused on the intersection of faith, finance, and impact, with a specific focus on asset management for faith- and values-based investors. Kavi is a partner in Impact Investment Partners, a London-based, FCA-regulated asset management and investment advisory company, and a co-Founder of Growmada, a fintech platform focused on scaling social enterprises.